For the U.S. market, there are several new wall sconces in a variety of different styles. None require any bulbs which means there are no dark spots within the light and the white or color light is evenly dispersed. They are rated for 22,000 hours, which at 3 hours a day, is about a 10-year lifespan. 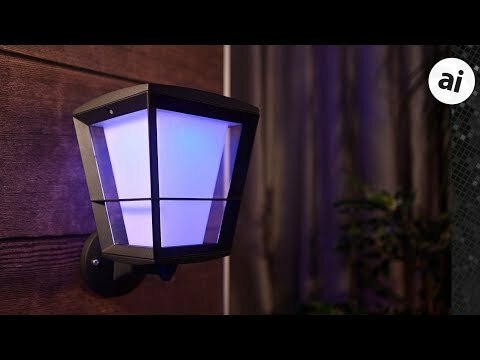 Signify also released a new Hue floodlight that comes in either white light only, or full color depending on the use case. When we tested it out, it was very bright. 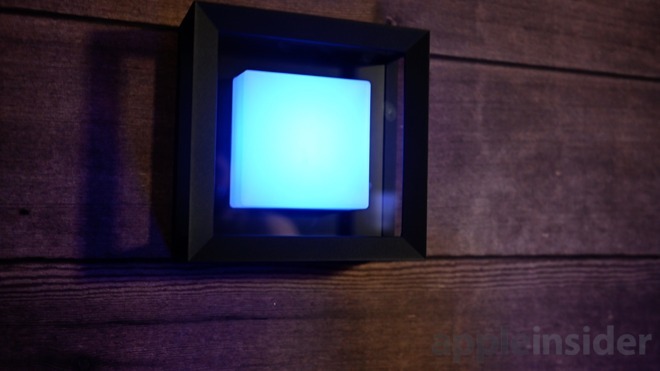 We were also excited to see the new Philips Hue outdoor motion sensor. 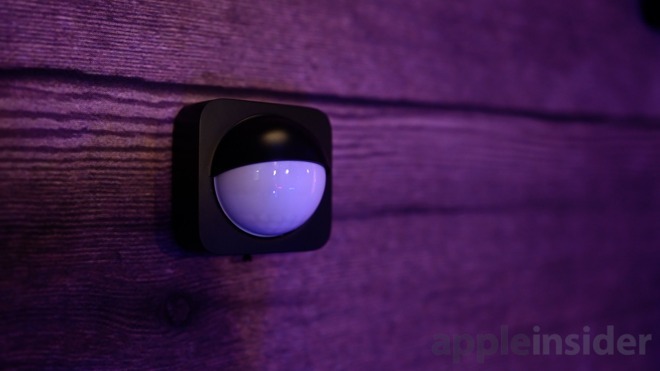 This is the first HomeKit-enabled outdoor motion sensor which opens up a whole new range of automation ideas. Our favorite is triggering lights inside to turn on when motion is detected outside as to act as a deterrent against any intruders. These motion sensors run on AA batteries for about two years and have a much larger range than the indoor Hue Motion Sensor.